Dynamically balanced idler roller with application specific design. Ergonomically design – operator's best choice. 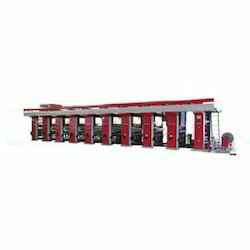 We are one of the leading manufacturers and suppliers of Roto High Printing Machine. The offered roto high printing machine is very widely used for printing on polyester, aluminum foil and high density poly ethylene. 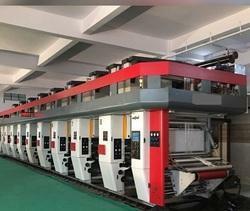 Our supplied roto high printing machine is highly liked for noiseless and vibration free printing mechanism. The offered roto high printing machine is very affordable and cost effective. We are one of the widely acclaimed manufacturers and suppliers of High Speed Rotogravure Printing Machine. 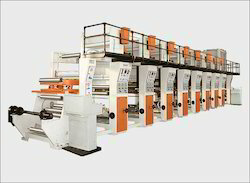 The offered high speed rotogravure printing machine is commonly used for printing polyester, paper, foil and low density polyethylene. Our supplied high speed rotogravure printing machine is highly liked for optimal printing width and quick drying mechanism. Motorised web video inspection system with traverse bar mounting.